Good news! 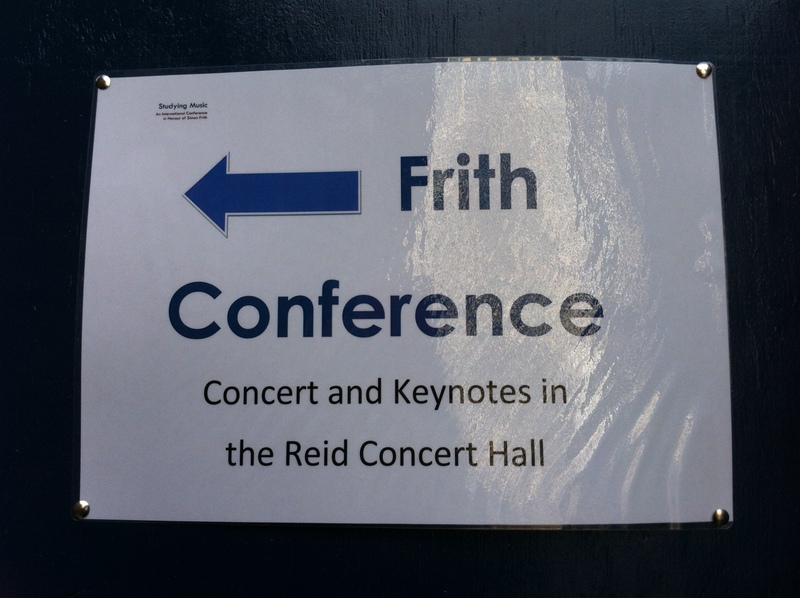 My paper proposal for the forthcoming conference ‘Studying Music: an International Conference in Honour of Prof. Simon Frith’, to be held at the University of Edinburgh 10th-12th April 2014, has been accepted. The paper, provisionally titled ‘Raising stars from the underpass: an examination of Simon Frith’s music journalism in the English quality press from 1982 to 1990’ will examine Frith’s navigation of the complex relationship between sociology and criticism as evidenced through his journalistic output in the English quality press of the 1980s. A detailed critical discourse analysis of a carefully selected sample of Frith’s music writing published in the Sunday Times and The Observer, from his inaugural rock column in the former titled Stars from the underpass (1982) until the end of the 1980s, will also shed light upon the means by which Frith sought to meet the needs of general readers without compromising his academically inflected and sociologically informed critical voice. Copyright © 2019. Jenniferskellington.com. All rights reserved.